Daughter and Youngest and I were out running errands. As we were leaving the car wash, a required stop given the bloodbath of Christmas Day, we were talking about fun activities to do through the week. This afternoon, it's ice skating. Tomorrow, it's decorating the room lamps the two got for Christmas. I mention bowling on Wednesday, and then I ask, "What should we do for New Year's Eve?" "Get a cow?" Daughter asks. "Buy the White House?" Youngest suggests. "What universe do I live in where my children say those things?" I ask aloud. 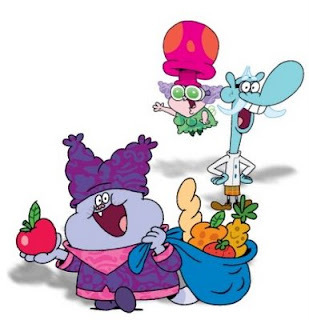 Daughter owns up to hearing it on Chowder, some horrid, horrid show that her horrid, horrid mother lets her watch. Youngest asks, "Do you ever have any of your own sayings?" "Yes," Daughter insists. "'Every second leads to 24 hours.' It means good things are coming even if things are bad right now." I press her about whether that's an original saying of hers or not. She says she doesn't think she ever heard it anywhere else. I like it. I like it a lot, especially following a 7 a.m. appointment with my sadistic physical therapist and a trip to the vet to get the earless wonder's bandages completely off. I envision a book of trite sayings in my daughter's future. Perhaps some motivational posters? all physical therapists have a sadistic side to them, but they are angels anyway. Yesterday was ice skating for us as well. Or, for my husband and kids. I showed up for the last 45 minutes in heels (from work) with the camera! I'm thinking I need to incorporate that into one of my sayings! I hope the p.t. and vet visit both went well. I'm sure Corrie is quite pleased having the cone off.